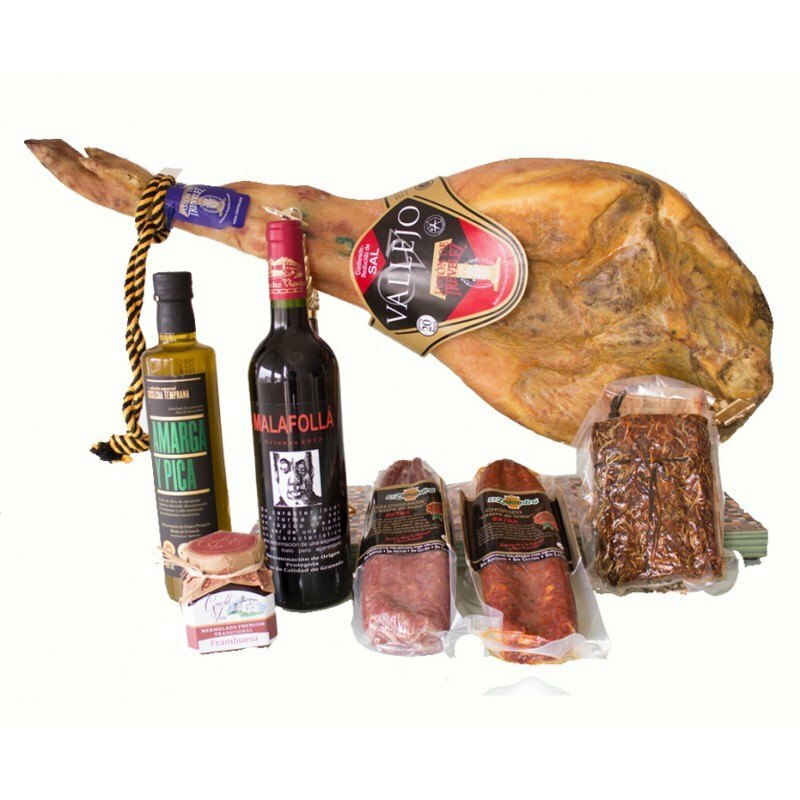 - 1 x Gourmet pork shoulder cured for 10 months (between 4.5 kg and 5 kg) - 1 x Venta del Chaleco handmade semi curado sheep's cheese (approx. 900 g) - 1 x Chorizo Alpujarreño (approx. 300 g) - 1 x Salchichón Alpujarreño (approx. 300 g) - 2 x Cortijo de Balsillas red wine 2011 Gift: Honey with nuts (new), 350 g Worth €4.50.